I wish I had this record near me as I write these notes. After listening to Otis Fodder's Christian Musical themed show on Cool and Strange Music's Friendly Persuasion, I went out in search of similar odd records. The following week or so I found this little gem at the thrift store with the standout cover. I'm only including one track because sadly the rest of the record isn't as interesting. And it's long! This is like the Alice's Restraunt of Christian Musical numbers. And it's great! I don't know what else to say about it, but just wanted to say thank you to Otis Fodder for all the fun, music, and friendship over the years. I think we all owe him a round of applause for sticking out yet another year of 365. Cheers! Hey, Jim, Love can work a miracle. Next year they can call it 366 Days. 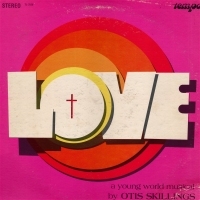 Somewhere I have another religious concept LP by Otis Skillings, also not very good, but with a few choice moments (in fact I think I recall a "breakbeat" on it, for you hip hop DJs). You guys ever put up that 2LP religious concept album called (I think) "Truth of Truths", with pseudo-prog-rock instrumental movements, the usual corny chorus music, and a special appearance by Jim Backus (Thurston Howell the 3rd) as the voice of God? Thanks a lot for bringing back memories I'd have rather kept suppressed. Way back in the dark and dreary 70's, between my junior and senior years in high school, I actually played trumpet for a touring performance of this musical. I had been recruited by the minister of music at a local church who needed good brass guys for this thing, and I figured, what the hell, it was a chance to keep my chops up over the summer in spite of my being about as far from a Christian as you can get. I don't know what was worse about the experience: the repeated attempts of the music director to convert me (or seduce me; I was never really sure which); the hypocritical contrast between the vapid wide-eyed zombie-like parroting of religious maxims by the very 70's-ish Jesus Freaks youth who sang in the choir and the boinking and toking by same that went on behind the scenes; or the namby-pamby nature of the music itself, which dragged out every predictable cliche and trite stock musical motif and style in creation and dumped them into one unbelievably lame whole. "Love" is not the miracle here -- that I escaped the debacle with some semblance of personality intact, and not incarcerated in gaol nor asylum, is. i am looking for the book In God We Trust. 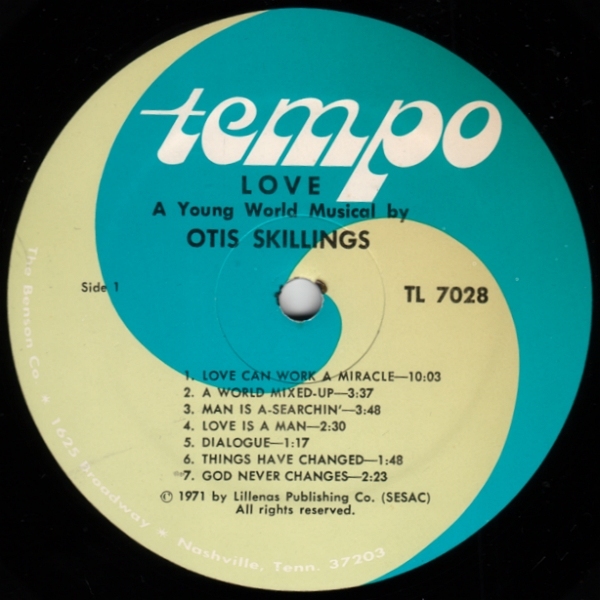 by otis skillings that our christian school choir sang way back in like 1972. I sang in a group in High School directed by Otis' daugher Cindy; we traveled some in the midwest on a few tours and the group actually spent a week with Otis getting ready for the year before we would begin our tours and such. We did this every year that I was in the group. Otis was actually a breath of fresh air in music for me. Growing up in a family who had its fair share of full doses of Parliment and the Funkadelics, Isaac Hayes, Earth Wind and Fire, I actually (in a weird sort of way) was drawn to Otis' style of music. I guess I've always kind of secretly liked that Lawrence Welk style...maybe its the horns? 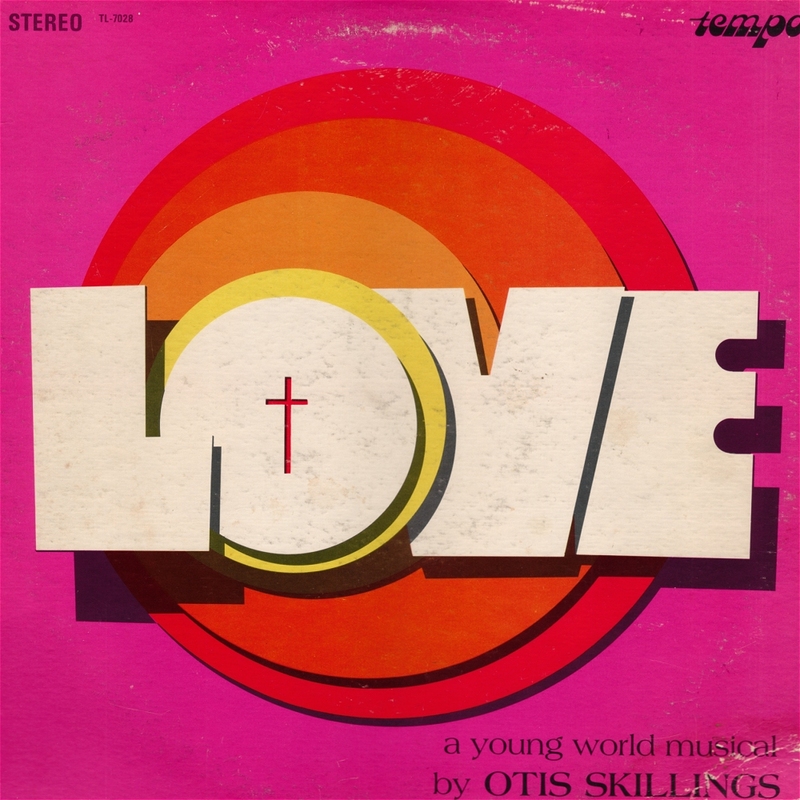 If anyone can download the song "Thank You, Lord" from Otis Skillings Youth Musical "Love", I would be most appreciative. I've looked for this album for quite some time as my daughter sang the solo part at the tender age of 13. She has made singing her life's work and I have had several requests by older church members for her to sing this song again when she visits. Download needs to go to vicnjes@decaturwb.com Thanks so much for your help.